A House Financial Services subcommittee has released a staff report that recommends the full House find Consumer Financial Protection Bureau (CFPB) Director Richard Cordray in contempt of Congress. The finding alleges Cordray and the agency defied Congressional subpoenas by refusing to deliver documents related to the drafting of the arbitration rule -- the focus of contention. That rule would ban forced arbitration as a way to settle disputes between consumers and financial service providers. The CFPB said it took that step to give consumers their day in court. Republicans in Congress charge the move would benefit trial lawyers more than consumers. In a statement to CNN, CFPB spokeswoman Jen Howard said the agency has been working to comply with the committee's oversight, and so far has produced thousands of pages of documents. Congressional Republicans from the start have been critical of the way the CFPB was established under the Dodd Frank Act, charging that its director is "unaccountable." The director cannot be fired by the President, for example, except for cause. 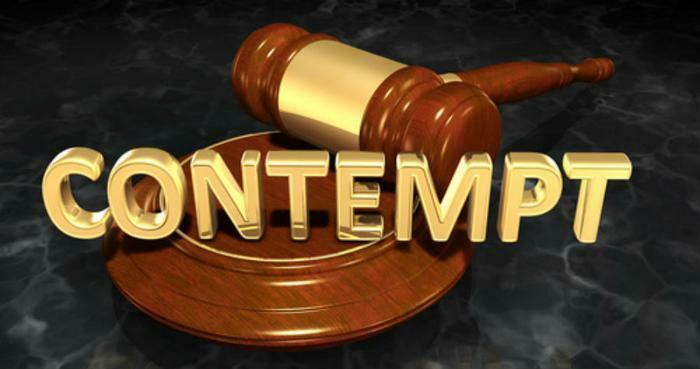 It's likely that a contempt of Congress citation would be interpreted as grounds for dismissal. Since it was established, CFPB has been active in regulating student loans, credit cards, auto financing, credit bureaus, and so-called "credit repair" companies -- services that tend to draw a lot of consumer complaints. Last month, the GOP-controlled House voted to block implementation of the CFPB's arbitration rule. But Lisa Gilbert, Vice President of Legislative Affairs at Public Citizen, said the House vote amounted to "a savage attack on American consumers." "By voting to overturn the CFPB’s arbitration rule, Republicans in Congress are siding with predatory banks, payday lenders, credit card companies, and the financial industry against Main Street Americans, and are choosing to be on the wrong side of history," Gilbert said. While Republican and business leaders have generally supported Cordray's ouster, the director might be leaving the post on his own in the near future. Before taking the CFPB post, Cordray was the attorney general of Ohio. It's been reported that he may be headed back to his home state to run for governor next year.